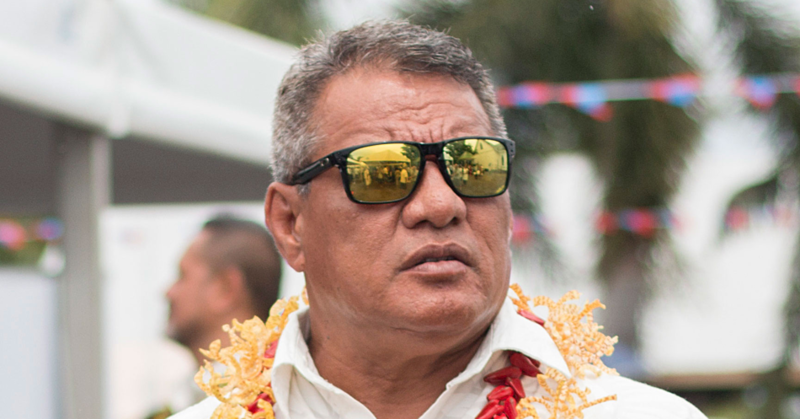 Australia’s role in developing Samoa is critical. The point was made by Prime Minister Tuilaepa Dr. Sa’ilele Malielegaoi, who highlighted Australia’s valuable contribution to Samoa’s growth, during the local celebration of Australia Day on Friday night. Australia Day, the Prime Minister said, is an occasion to reflect on the strong relationship between the two countries, and thank Australia for its contribution to Samoa in different areas. The partnership has resulted not just in improved lives in Samoa but also the growing number of Samoans who have chosen to make Australia their home, the Prime Minister said. It is a relationship based on mutual trust, formed some 40 years ago. The fruit of which is something to be proud of, High Commissioner, Sue Langford said. “Our relationship has grown considerably in that time: in trade and commerce, education, sport, development, defence, police cooperation and employment,” she said. “Our people-to-people links are stronger now than ever before, thanks to programmes such as the Australian Volunteers, the Seasonal Worker Programme, Australia Awards scholarships and the New Colombo Plan." 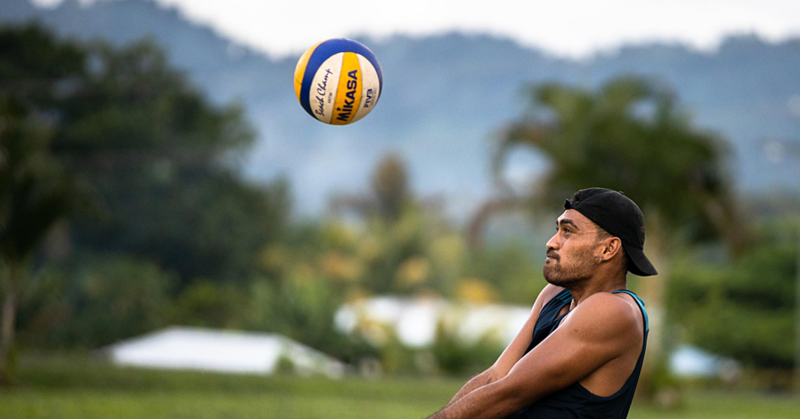 “The past year has seen a number of high-level visits from Australia to Samoa." 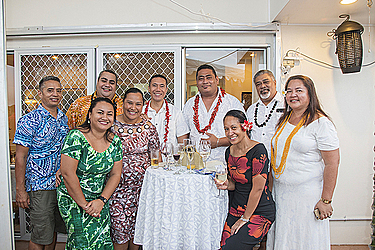 “In September, Prime Minister Turnbull came to Samoa for the Pacific Islands Forum meeting." 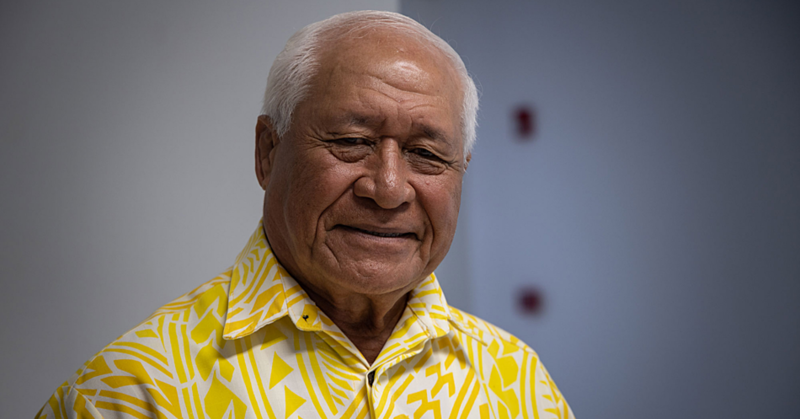 “In July, the Governor-General of Australia, His Excellency General the Honourable Sir Peter Cosgrove, visited Samoa. He officially opened the Leone Bridge, which has restored direct access to the area." Ms. Langford said Australia is proud of being a partner with Samoa. “This commitment was reiterated by Prime Minister Turnbull during last year’s Pacific Islands Forum in Apia where he announced a range of measures to further strengthen and ‘step up’ Australia’s engagement in the Pacific." “This includes developing stronger partnerships for economic growth, stronger partnerships for security and stronger relationships between our people." As for Australia Day, Ms. Langford quoted her Prime Minister, Malcolm Turnbull, who said in his Australia Day Address last year: “We are a nation ancient and modern, old and new." Australia Day, 26 January, marks the day in 1788 when Captain Arthur Phillip, Commander of the First Fleet of eleven convict ships, from Great Britain, landed at Sydney Cove. “The culture of our First Australians is an integral part of the Australian identity,” Ms. Langford said. “Australia Day is a celebration of all the things we love about Australia." It is about acknowledging the contribution that every Australian makes to the nation. It is also a celebration of diversity and tolerance in Australian society. “Australia is a truly multicultural society. One quarter of Australians were born outside Australia and more than half of all Australians have a foreign born parent." The number of people living in Australia identifying as being of Samoan heritage is growing. Our 2016 Census put the number at 76,000 – up from 58,000 in the 2011 Census.